To the amateur astronomer, comets can be fascinating astronomical phenomena. They are mysterious, often elusive objects, changing their position and appearance over time, and often appearing only for a few weeks before vanishing from the celestial scene. While the majority of comets are faint, a number become bright enough to be visible in binoculars and small telescopes, and notably Comet McNaught (2006 P1) in recent years, can become spectacular naked-eye objects. The observer’s challenge lies in monitoring a comet’s appearance In the eyepiece from night to night. 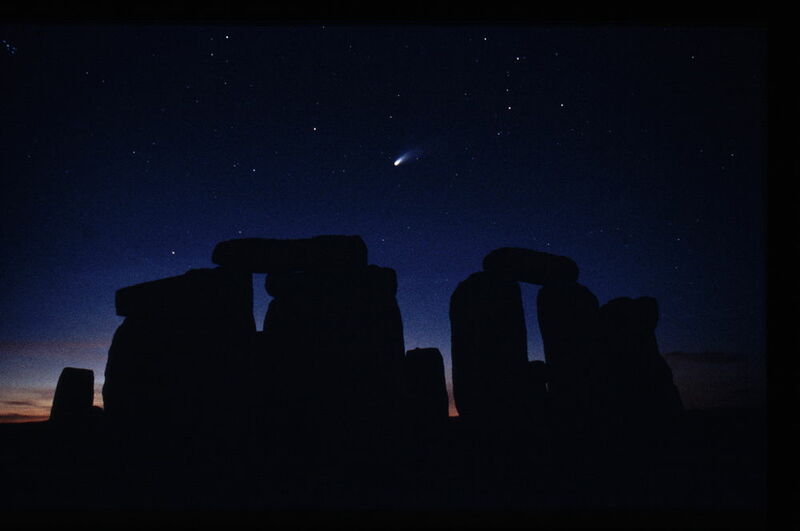 A comet appearing as just a fuzzy smudge one evening may show a brilliant centre or a tail a night or two later. The aim of the Comet Section is to assist SPA members in making useful observations and to enhance their enjoyment and appreciation of what they are seeing. If there is a comet in the sky bright enough to be a likely target for SPA members, charts of its position will be provided on this website, and SPA members can find it quite easily using these. The simplest and cheapest way of making observations is visually, using just a pencil and paper for making notes and drawings of what was seen. Drawings need not be artistic – as long as they accurately show the shape of the target comet and its position relative to the background stars, then they are useful.